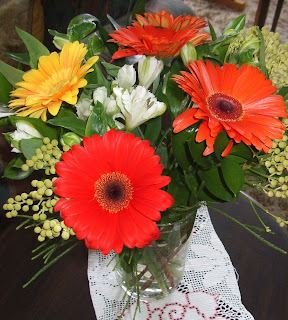 I received these beautiful flowers today from my friend Miranda and her 8 year old Princess. Beautiful vibrant colours, just what the winter castle needs to brighten it up and just what I need! Thank you so much Miranda and Princess!! !